“There has been no change to the plan announced in February, and we continue to implement the President’s direction to draw down U.S. forces to a residual presence,” said the top U.S. general in a statement. U.S. forces conducted a precision airstrike in northwest Syria on Nov. 18, 2016, that killed Abu Ayyub al-Masri, a senior Al-Qaeda leader in Syria, Pentagon Press Secretary Peter Cook told reporters at the Pentagon on Nov. 22, 2016. From left are Army 1st Lt. Patrick Abele, 1st Squadron, 75th Cavalry Regiment, Task Force Strike; and Marine Corps Master Sgt. Travis Madden, Special Purpose Marine Air Ground Task Force. Credit: Lt. Daniel Johnson/U.S. Army. 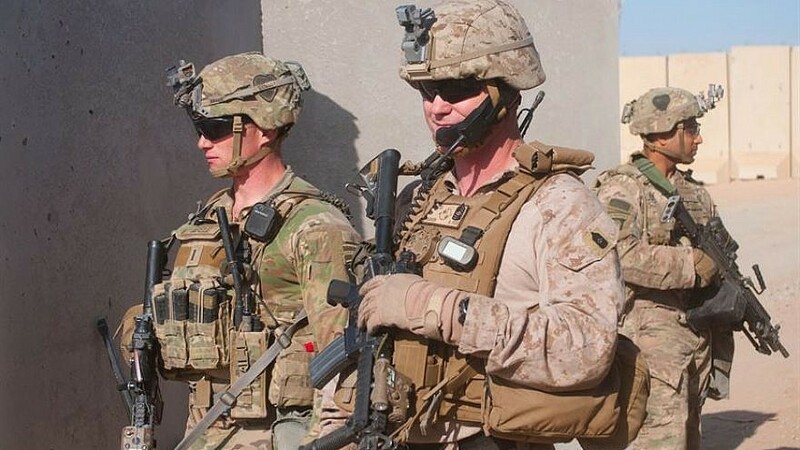 (March 18, 2019 / JNS) The Chairman of the Joint Chiefs of Staff, Gen. Joseph Dunford, refuted a Wall Street Journal report on Sunday that the United States plans to keep as many as 1,000 troops in Syria. “Further, we continue to conduct detailed military planning with the Turkish General Staff to address Turkish security concerns along the Turkey-Syria border,” he continued. “We are also conducting planning with other members of the [anti-Islamic State] coalition who have indicated an intent to support the transition phase of operations into Syria,” added Dunford. The Journal reported an increase that reflects what has been an apparent reversal since U.S. President Donald Trump announced in December that all 2,000 U.S. troops will withdraw from Syria. The Journal is standing by its reporting. Top US military commander challenges our @WSJ story on Syria policy w/@nancyayoussef. We stand by our reporting.